Betta fish stand out from other fish for their striking color combinations, flowing fins and their singular nature as "fighting fish." When choosing a name for your new Betta, you can find inspiration in lots of places that match who your fish is. Betta fish names can be based on anything that you're passionate about, but if you're looking to pick out specific betta characteristics for inspiration, there are some key details to hone in on. Obviously they're beautiful and fancy fish with glamorous colors and fins. Even the females, while not as flashy as the males, are colorful particularly as more are being bred for these qualities. 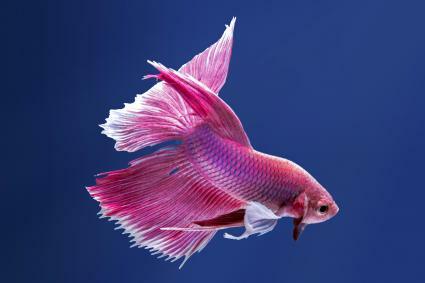 Bettas are also notoriously aggressive fish, hence their "Siamese Fighting Fish" name. This fierce side to their personality can be fodder for all sorts of names. You can also look for names from their countries of origin, which is primarily Thailand and Cambodia. Since Bettas are known for their fierce reputation toward other fish, it's appropriate to name them after famous fighters and warrior terminology. These go particularly well with red or copper colored bettas and bettas with sleeker bodies like spade tails and plakats. 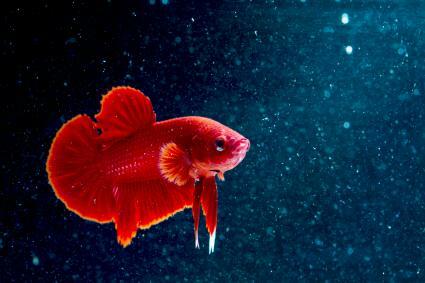 Crown tail and half-sun bettas go well with names derived from royalty as their fins and tails form "crown-like" shapes. These names work well for any color betta, particularly gold shades like orange, yellow or pineapple and of course purple, the color of royalty. Since bettas hail from Thailand and Cambodia, using names from their homeland are a fitting choice. These can be used for any type of betta fish or color pattern. With their dramatic fins and personalities, using names based on fashionable, glamourous or colorful characters such as found on the stage, at the opera or other entertainment. 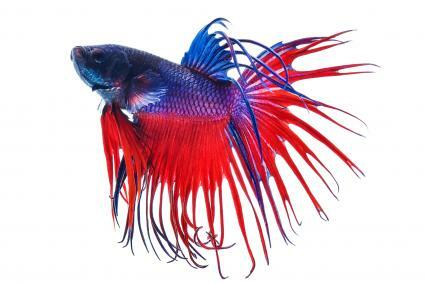 If you have a betta with particularly fabulous finns, such as the half moon and over-half moon, rosetail, feathertail or super delta, you might enjoy these names. These also work well for fish with multi-color patterns such as the butterfly, marble, or the bi- or multi- colored bettas. 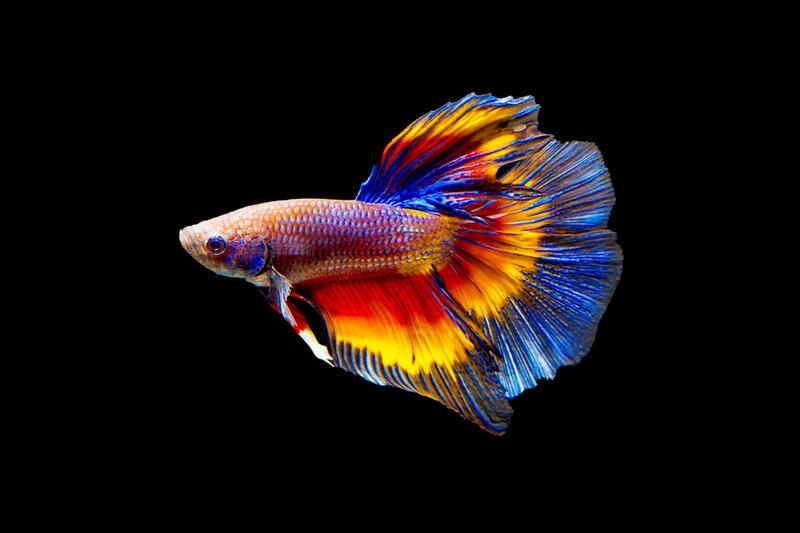 Like bettas, mythological dragons are known for brightly colored scales and aggressive temperaments. Dragon names are perfect for dragonscale bettas as well as any of the flashier bettas like combtails, feathertails and super deltas. If you want to prove your geek cred, name your betta fish after some truly outrageous and fighting characters. Video game bosses are usually quite colorful and memorable and make a good name for any type of betta including veil tails, double tails and round tails. Picking the best name for your new betta fish can be a lot of fun. With their vibrant colors, strong personalities and elaborate fins, there are many aspects to focus on when thinking up a name. 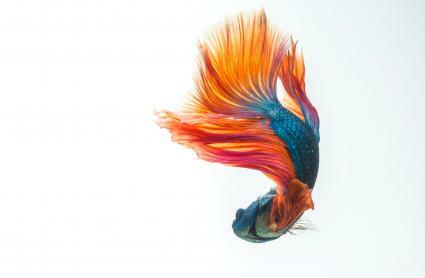 Use this list for inspiration and share your bettas' name in the comments!